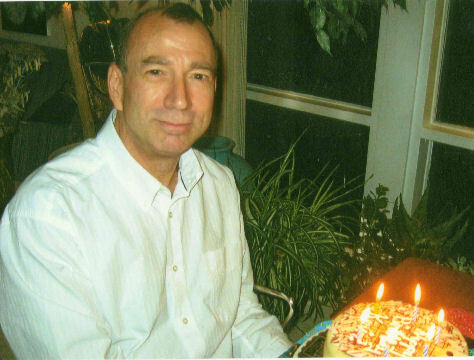 Brain Tumor Survivor: Kevin K.
After finding Doctor Musella's site I almost felt an obligation to tell my story. I have been sitting on it since 1993. I will not go into a lot of the medical details for one reason, I either don't know what happened or cannot remember. I have been plagued with migraine headaches all my life. Today there is little change. I have always loved playing sports. My true passion was soccer. Coaching my son as he grew up gave me a lot of personal satisfaction. I did this until I started having seizures. My wife told me that I should continue. I didn't want to embarrass him or myself, so I quite coaching. But I have to back up. Playing in the yard one day a sharp pain cut right through my abdomen. I shrugged it off knowing I had played eighty minutes of soccer the day before. I had terrible cramps in the same area after that until the night I had my first grad mal seizure. I fell out of bed cutting my head on the night stand. By the time I arrived at the hospital I was trying to figure out what had happened. More seizures followed as we (I say we because my wife has been right there for me) saw a number of oncologists. Finally we made an appointment with a surgeon. He gave it to me point blank," You have a brain tumor." He told me he could operate but the chance of loosing my eyesight was great. I thanked him picking up my MRI,s when he told me about a biopsy. After was loosing our infant daughter to a congenital heart defect nothing could be worse. From this I developed the attitude that if it happens then it is going to happen. The second operation was followed with radiation. At some point I had asked the doctor how many more treatments were left from the original 35. She came back with a pocket calculator and sent me back to the simulator. It hit me at that very moment, "you idiot this is serious!" From there was on different chemo's from May until November of 1992. CCNU, PROCARBAZINE, VISCRISTINE, COMPAZINE, and others I cannot recall. The tumor was growing wildly and the doctor told my wife 3 to 6 months. It was at this time that I was accepted into the first human gene therapy study for glio-blablastoma brain tumors. It was two more operations. The first was the injections the second to stop the hemorrhaging that followed. During the second surgery I wound up in a coma with partial paralysis on my left side. It was all worth it giving me a chance to see my children grow up. I cannot do the things that once came so easy, but I believe it is God's way of testing me. So far I'm passing. A good attitude can go a long way. I just got back home from NIH. I was told my MRI scan did not reveal any sign of new tumor growth. 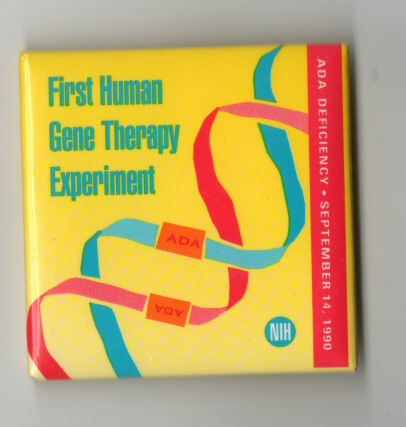 It has now been 9 years since receiving gene therapy. It has been 11 years now from my first surgery. I do not know if it was the therapy that has kept me alive. I am thankful to have had two very good nuero-surgeons. They are Dr.John Tew from the Mayfield Clinic in Cincinnati and Dr. Edward Olfield from National Institutes of Health. Without them I doubt that I would be writing this today. It has been thirteen years after being diagnosed with a brain tumor, eleven years after gene therapy. Today there is no visable sign of the tumor on the MRI scan. I will continue to have follow up scans at NIH from this point on. I am home from NIH this year (2005) with news that my tumor still hasn't reappeared on the MRI scan. My scan at NIH this April looks the same as it has for thirteen years. Next year my local oncoligist will consider me cured and no longer in remission. While at NIH I met with a wonderful lady who has the fighting spirit with in her. A year and a half ago I made my l final visit to NIH. The pharmaceutical company and NIH decided they had gathered all information from the trial and decided to close out the trial using gene therapy. My last MRI and blood work was done at that time.My first treatment was in February 1993. I was closely monitored until the trial ended I now see my oncologist in Cincinnati. My tumor has stayed the same soon after having the gene therapy. I now attend local brain tumor conferences. I started in Washington with the National Foundation for Cancer Research. Locally I attend conferences held by U.C.Neuroscience Institute. My last check up went fine. My neuro-oncologist is now treating me strickly for seizures. One a year I have blood work to make sure my medicine is working. Once again I've been invited to the local Relay for Life event. I will attend if I am physically capable. There have no changes. I still see my oncologist once a year to have my Dilantin and Phenobarbital levels checked. The two oldest drugs seem to work for me. I go to my oncologist at the end of the month to have my seizure medicines checked out. I do this once a year and have no other procedures or treatments. The only thing left is scar tissue and the the three places where I was operated on. After almost 20 years there is no change in my scans.I continue to have seizures so I see Dr. Albright once a year. The only change for me is that gene therapy kept me alive to see my first two grandchildren. After seeing them, I am glad to be alive! Send a message to Kevin!